Getting a ticket in California can be a hassle, but don’t panic! From figuring out how to contact the court to deciding whether traffic school is the right option for you, we’re here to make it as easy as possible. Here are just a few of the many questions we get from drivers in California looking to make their ticket disappear! Should I take traffic school before or after I pay my ticket? You will need to pay your ticket and request the option to take traffic school from the court before you complete a traffic school course. After you do this, the court will give you a new due date that you’ll have to complete your traffic school course by. If I still have to pay my ticket, what’s the point of taking traffic school? Getting a California traffic ticket is already expensive, but getting your license suspended or having your insurance company raise your premiums could be even more costly. California uses a point system to keep track of traffic violations. Each type of traffic offense carries either one or two points. If you receive too many points in a certain time period, your license could be suspended or revoked. In addition, points on your driving record can cause your insurance premiums to increase. But as a result of completing traffic school, your court will dismiss your ticket, and the DMV will mask the violation on your record. This means that while the DMV will still know about your ticket, it won’t appear as points on your driving record, and it won’t be visible to your insurance company. Still trying to weigh the costs and benefits? For more information about how your traffic ticket could affect your driving record, check out the California DMV’s list of points for each violation. You can also contact your insurance company to find out how points on your record would affect your insurance rates. What if I have more than one ticket? Can I take traffic school for both? You can take traffic school to have a violation dismissed once in any 18 month period. The 18 month period is counted from the date you received the last California ticket you took traffic school for to the date you received your current ticket. So, if you’ve got two tickets right now, or two violations listed on the same ticket, you’re going to have to pick just one violation to have dismissed by taking traffic school. What if I decide to fight the ticket? Will the court dismiss it if the officer doesn’t show up? Will I still be able to take traffic school if I’m found guilty? Pleading not guilty to your violation, also known as “fighting” or “contesting” the ticket, is also an option. In most cases, you can contact your court to ask for a court trial or a trial by written declaration. The court may require you to pay your fine amount in advance, which will be held as bail and later returned to you if you are found not guilty. If the officer who issued the ticket does not appear in court, it’s possible that the court would dismiss your ticket. However, it’s best not to rely on that option. Instead, be prepared to defend yourself in case the officer does show up. You can either defend yourself, or hire a lawyer. The officer will explain to the judge why they gave you the ticket, and you or your lawyer will be able to present evidence, argue the law, bring witnesses, and question the officer. If you are found guilty, it will be up to the judge whether to offer you the option to go to traffic school. How do I contact my court? After you get a ticket, you may find yourself needing to contact the court. Before you resort to waiting in line at the courthouse or navigating through a maze of automated recordings in the court’s phone system, check to see if the information you need is available through your court’s website. Many courts have an online case lookup system that you can use to locate your citation, pay your ticket, request traffic school, or even request a due date extension. Some courts also have this type of system available by phone. If you do have to speak with someone at the court, check online for their traffic department phone or window hours so you don’t waste your time. Some courts are extremely understaffed, and clerks may only be available to the public for a few hours each day. First, check out our California FAQ page for information on our low price guarantee, computer/system requirements, and what to do if you have a commercial drivers license. 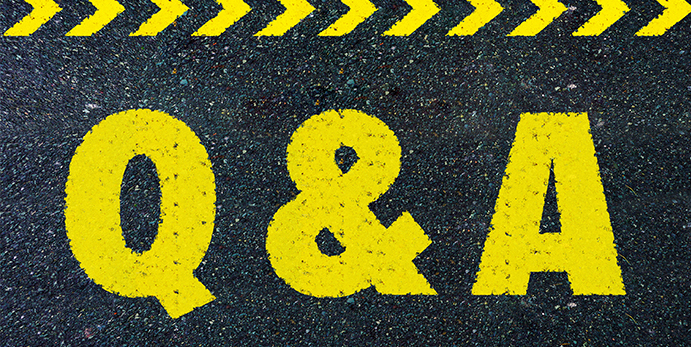 Then take a look at Part Two of our California Traffic School: Q&A series! Still have questions? No problem. Give us a call at 800-800-3579 or drop us a line at questions@trafficschoolonline.com and we’ll be happy to help you find the information you need!